The Essay Film Festival is back… starting on Friday 22 March with the opening of our first ever exhibition in the Peltz Gallery, Art at the Frontier of Film Theory: the Work of Laura Mulvey and Peter Wollen, with extra screenings, workshops and conversations… please spread the word! Now in its fifth edition, the annual Essay Film Festival, is a collaboration between Birkbeck Institute for the Moving Image and the Institute of Contemporary Arts, celebrating the diversity and creativity of those artists and visionaries who work in that unique zone between documentary and experimental modes of filmmaking. The full programme for EFF 2019 can be found here. In this workshop we will discuss the social, political, cultural, as well as the capital-logics of contemporary narco-capitalism and its mobile territories (from the land in which drugs are cultivated, to the virtual world of laundering and finance in which its profits are realized and re-invested), especially as it is both juridically – and thus, militarily – constituted by and at the Mexican-US border. Violence and ‘wars’, of all kinds, are fundamental to these outlaw logics which have spawned a variety of cultural and subjectivizing forms (some of which will be highlighted by our guest speakers here). Indeed, this particular – and supposedly ‘Mexican’ – narco-cultural formation, which at first glance seems to present itself as peripheral, is in fact becoming increasingly central to contemporary forms of capital accumulation and its representation: its presence both seen and heard in the daily news as well as in contemporary art, television, film, literature and music. In this workshop we hope to throw some light on some of these processes from a variety of critical perspectives. Open to everyone. No booking necessary. For more information and to see the programme, click here. This workshop is organised by Professor John Kraniauskas (j.kraniauskas@bbk.ac.uk). For any further information, please contact him. This workshop is supported by CILAVS, Centre for Iberian and Latin American Visual Studies, and BIH, the Birkbeck Institute for the Humanities. The Centre for Iberian and Latin American Visual Studies, CILAVS, cordially invites you to its Seminar Series event for Spring 2019. The book The Inoperative Community by Jean-Luc Nancy opens with this statement, which registers the exhaustion of thinking through History as one of the tragedies of our times. I will approach this exhaustion in regard to a Spanish film that speaks of death and extinction while at the same time proposing, through the passion of its image, and in a certain politics of the afterlife that the film emits, a reflection on the political potentiality that is the recovered through a redemptive historicity. I refer to Biutiful, by Alejandro González Iñárritu (2010), which testifies, from the story of the agony of its protagonist, Uxbal, the presence of an essential in-certainty: life as a transition and, therefore, as a new beginning and/or as a non-finitude. The film proposes a historicity of experience erased by the exhaustion of history to which Nancy refers. Biutiful explodes, in the always continuous wandering of its protagonist through a desolated city, the historicity of its experience of life, death and the afterlife. Afterlife is powerfully associated in the film with the promise and permanence of that which has been lost, and therefore with the experience of remembering. Indeed, the film plays with the idea of a recovery, through a story that I will call autobiographical: the experience of history as afterlife and as event that accumulates death. My essay will be an intervention regarding the need of rethinking the politics of life, memory and inheritance through the facticity of death. Cristina Moreiras-Menor received her Ph.D in Spanish Literature from the University of California, Davis. Between 1996-2002 she taught Spanish Peninsular literature at Yale University. Currently she is Professor of Iberian Literature and Culture and Women’s Studies at The University of Michigan (Ann Arbor) where she was the Chair of the Department of Romance Languages and Literatures for the last eight years and where she works in Galician and Spanish Literature, Spanish film, cultural theory, and psychoanalysis. She has published extensively on 19 and 20th century Spanish literature and film. She is the author of Cultura herida: Literatura y cine en la España democrática (Libertarias, 2002), La estela del tiempo: historicidad e imagen en el cine español contemporáneo (Editorial Iberoamericana Vervuert, 2011), and the editor of a monographic issue of the Journal of Spanish Cultural Studies entitled Critical interventions on Violence. With historian Miguel Ángel del Arco Blanco, she is the editor of Constelaciones, a new series of the Editorial Cómares dedicated to publish outstanding work on Peninsular Cultural studies. She is currently working on two books, one on Novo Cinema Galego with particular attention to documentary, and the second one on the political and aesthetic relation between landscape and historicity in the works of some renowned Spanish writers (Juan Goytisolo, Juan Benet, Federico Sanchez Ferlosio, among others). 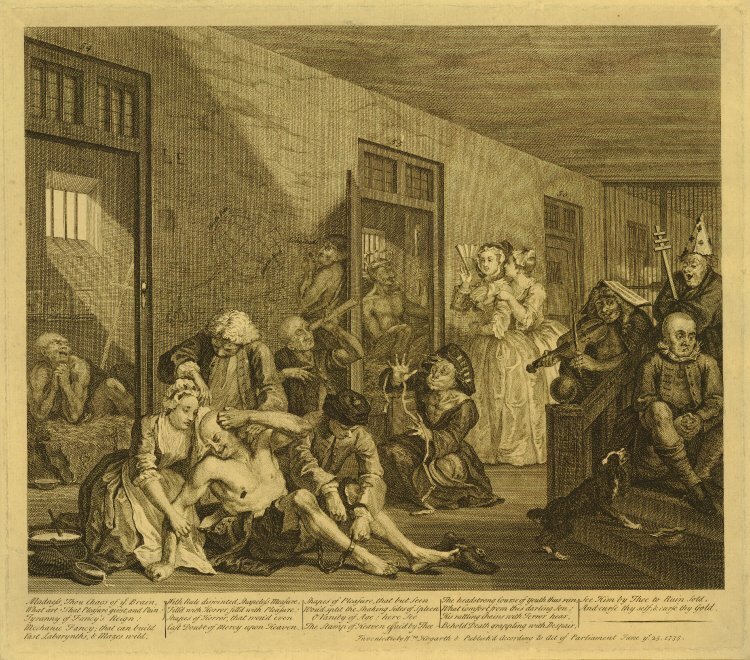 Anna Jamieson will introduce two texts which describe visiting Bethlem Royal Hospital, commonly known as Bedlam, during the latter decades of the eighteenth century: Henry Mackenzie’s novel The Man of Feeling (1771) and Sophie von la Roche’s diary entry of her visit in 1786 (attached). By comparing a literary and first-hand account of a visit to Bethlem, this session will consider the ways in which eighteenth-century tourist practices surrounding medical sites (or as Mackenzie calls them, ‘sights’) were informed by preconceived behavioural ideals. Spanning a period when Bethlem had recently put an end to its infamous practice of allowing the general public to view the mad, these sources mark a crucial turning point in the display of human suffering. Situating these texts amongst a number of key contemporary themes, discourses and debates – including emerging behavioural codes and the notion of performance within certain medical spaces, and how wider concepts such as detachment, disinterestedness and consumption may have impacted a visit and subsequent response – this session will frame Bethlem as an eighteenth-century ‘Dark Tourist’ destination, aligned with, but singular from, other spectacular sites along London’s tourist trail. The session aims to generate further discussion about the relationship between suffering and spectacle. We will consider how wider sympathetic discourses impacted viewing society’s ‘unfortunates’, which in turn led to a proliferation of texts which instructed individuals ‘how to look’ at suffering. All very welcome! Please contact Kate Retford – k.retford@bbk.ac.uk – for any further information. The readings for each session – including the Iris Marion Young essay not linked above – are held in a shared Dropbox folder. If you need access, email sophie.jones@bbk.ac.uk (include your Dropbox-linked email address, if you have one).